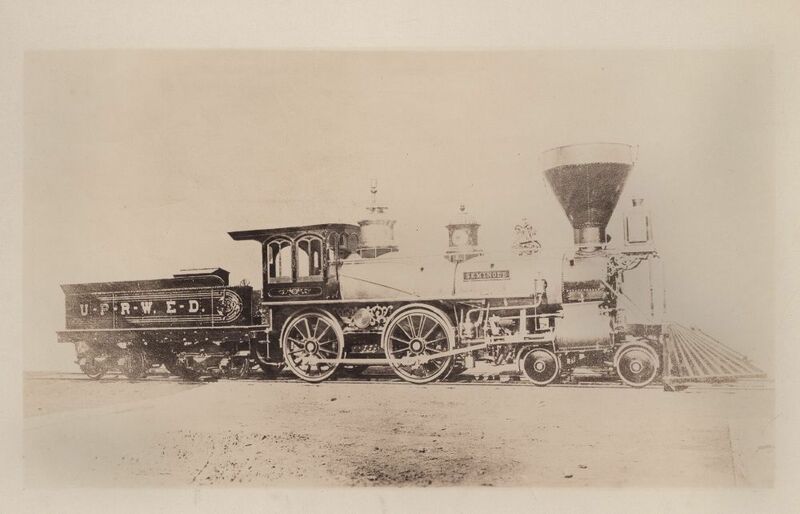 The locomotives are displayed according to their number when the picture was taken or in the case of locomotive which companies have been incorporated, in their new number within the Union Pacific even though it differs from the picture. You should know that many of them were transferred from one company to another within the Union Pacific and many also were renumbered during their careers. Nothing is for sale on this website. If you are looking to buy images or reproductions go to the source sites. 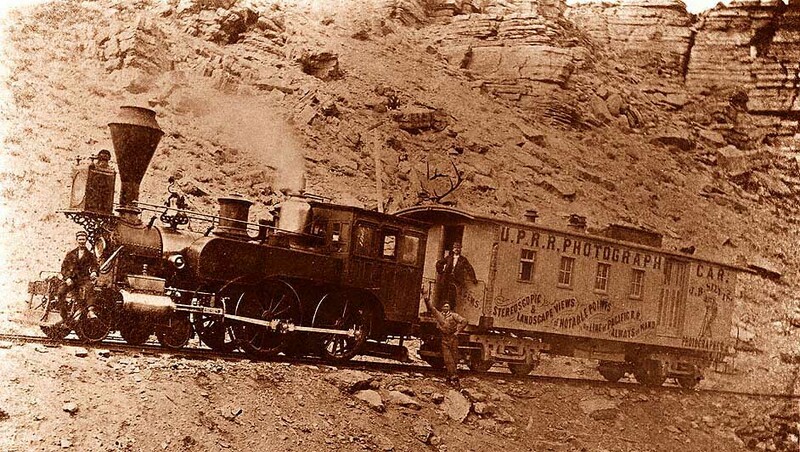 You can find other informations on UtahRails.net on Union Pacific Steam Locomotives here. Photographer : Anderson Sundry Co. Bronze plaque reads: "The Oregon Pony. 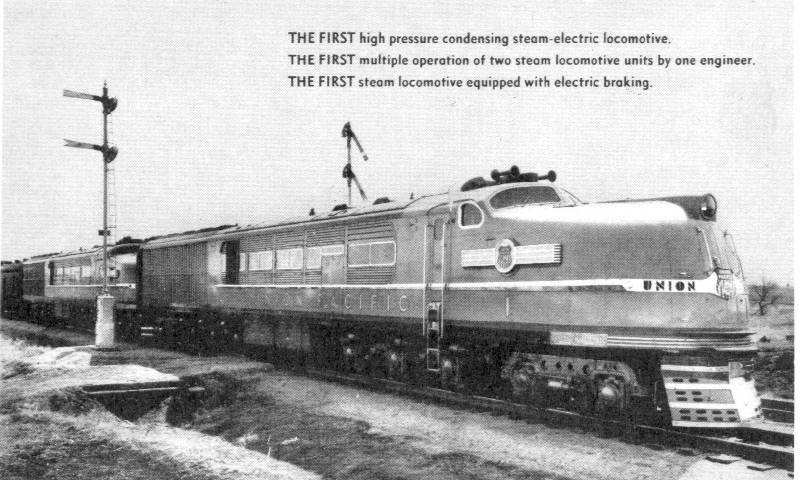 First Locomotive in the Pacific Northwest. This engline was operated in 1862 and 1863 in freight and passenger service on the first Oregon railroad, on the southern bank of the Columbia River between Bonneville and Cascade Locks" . This wood burner was the very first locomotive on any of the lines which now constitute the UP system. Union Station, Portland, Oregon, ca.1940. Manufacter : Danforth & Co.
No.1 the first UP engine, otherwise known as the "General Sherman", in Omaha. 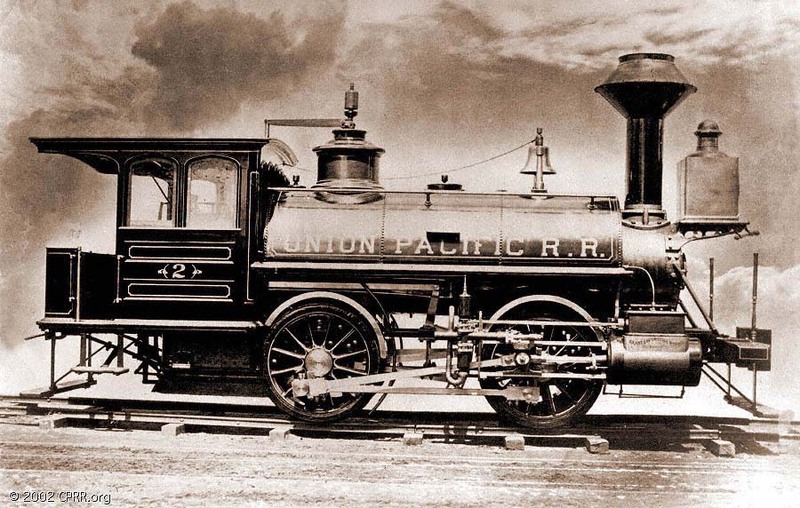 On July 8 1865 the first locomotive arrived at Omaha. It was No. 1, the "General Sherman", named after the war hero who was always a strong friend of the UP. It had been hauled on flatcars over the Hannibal and St. Joseph, whence it had been shipped 175 miles up the Missouri River, while there was still enough water, to the Omaha ferry landing. Photographer : Hull, Arundel C., 1846-1908. Grant built Pony worked Omaha and Council Bluffs Bridge run in least years. Source donors : Edwards, Robert W.
Pony engine, Omaha yard, The Union Pacific began building from Omaha in 1865. Material arrived on the Missouri River and was shunted around by yard engines before heading West. The links and thumbnails are "fair use". Then the thumbnails are low resolution images but redirect to the source image. The highest resolution images remain on the sites of the owners and if this is not the case because I do not know the source. If you are the owner I will leave only a thumbnail with a link to your site or just information about the book, the source or collection. I can also add your links with redirects to the image or the source or the means to buy this one. You can contact us on this link.